The quarter is underway, and journal club is back. 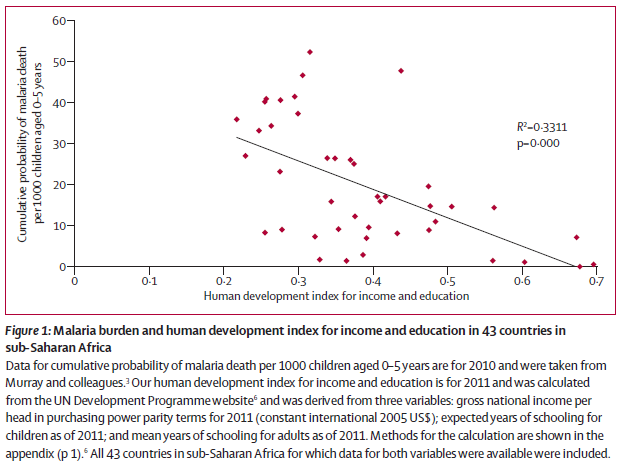 This week will will discuss Tusting et al’s meta-analysis of socioeconomic development as an intervention against malaria. 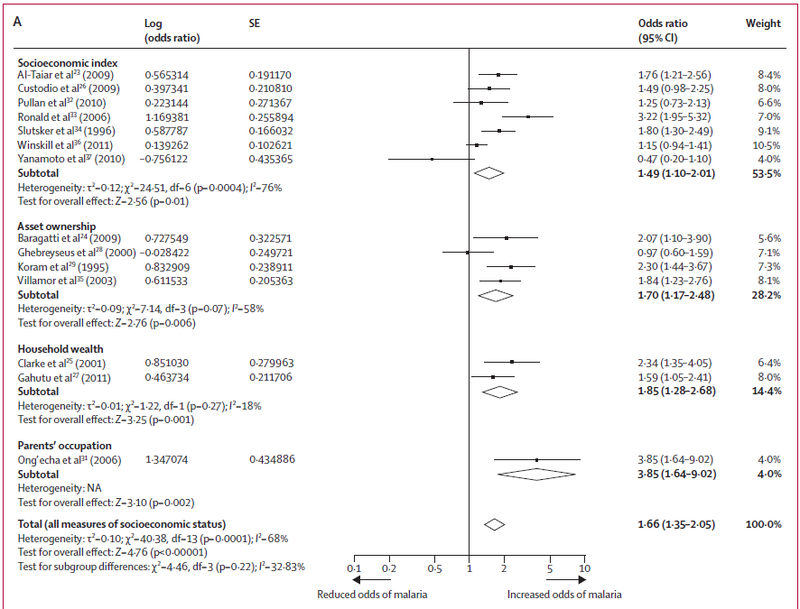 I wonder if the forest plot is here to stay? It presents a lot of information, but maybe it could emphasize the important parts more. There is great benefit to having a standard way to present systematic review data, however, so any changes need to be for huge benefit or just little tweaks.